Relieve now has two styles of ready made compost toilet available for purchase, to help you get started on your emergency or everyday composting toilet system. Do’s and Don’ts quick guide list. Note: that the user needs to acquire a wheelie bin or other large composting container to complete the emergency toilet setup. Single seater box constructed from untreated Macrocarpa or Douglas Fir. Lid and seat constructed from plywood. These toilets are handmade in Wanaka, and are delivered fully constructed. 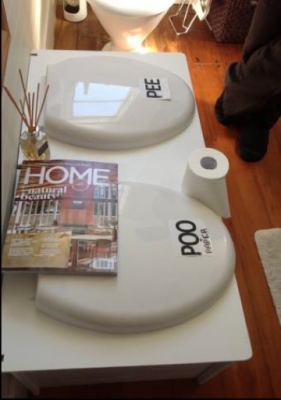 Includes 20L buckets with lids, laminated instruction sheet to hang in your toilet, and a ‘how to’ booklet. Note that it does not include a wheelie bin or other composting vessel, but we are happy to advise in this regard. Our toilet instructions are freely available here. im looking for just a urinal separator. Do you have any of these, and how much to ship down to chch? Could you sent through the price for the single-seater bucket toilet? Can it be made with urine separation? Hi, just wandering if you guys sell a urine separator? would like cost for the double toilet and frieght to whitianga please. Hi there are these composting loos suitable for yacths? thanks for the enquiry regarding the bucket composting toilet. a toilet seat arrangement made of 18mm 12 ply birch plywood on top of a beautiful natural wood box finished with natural java oil, that houses a standard 20lt plastic bucket for $350. this includes 1x 20lt bucket and our info booklet, a step by step guide and a laminated wall chart. And ongoing skype and or phone support when required. this system is a skill based system that is simple but requires active engagement for best results. We aim for best practice and will guide you to the same if you want. Our family have been composting our humanure along with our garden and kitchen waste for over 10 yrs and have it down pat. Now its easy and we don’t even really think about it just do it when it needs to be done and after a couple of years you start to get a continuous flow of the best compost that is completely safe to use anywhere you’d want awesome compost. usually we save 8 or 10 buckets then make a batch of compost. you need a minimum of mass around 1m3 for it to get hot enough to be thermophilic but you could do it using less humanure and more of other things like animal manure or even green weeds. Please could you email the price list to me – both single and double. Can you please email me a price list for your composting toilets. 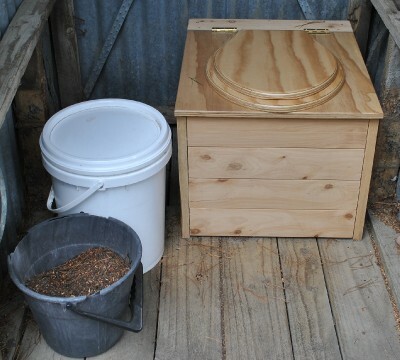 I need some plans for a decent, but affordable, composting toilet for my ecoshed. The toilet, along with my graywater field that will support native plants, will provide sanitation to a winemaking crushpad, workshop, and bikeshed at the back of my property near a creek. I have been working with several retirement homes recently to support them as they reassess their emergency preparedness procedures and materials. ARe you still making composting toilets., and how much are they? Also include freight to Katikati near Tauranga please. Yes Jizzy we are. Please send your query directly to the email addresses provided above so that either matt or greg can respond to you directly. did you get a response to your query? Please email greg or matt depending on which toilet you are interested in. Email addresses are provided in the article above. Hey guys, looking good ! Can you give me the prices incl GST of both the twin & single seater. And does the single seater have any urine separation?